The Sea to Summit Ultra-Sil™ is the little day pack that could. What this bag lacks in organization, it more than makes up for in durability and pack-ability. The Ultra-Sil’s ability to bulk up and pack down makes it a great choice for those who tend to push the limits of their day pack’s carrying capacity. 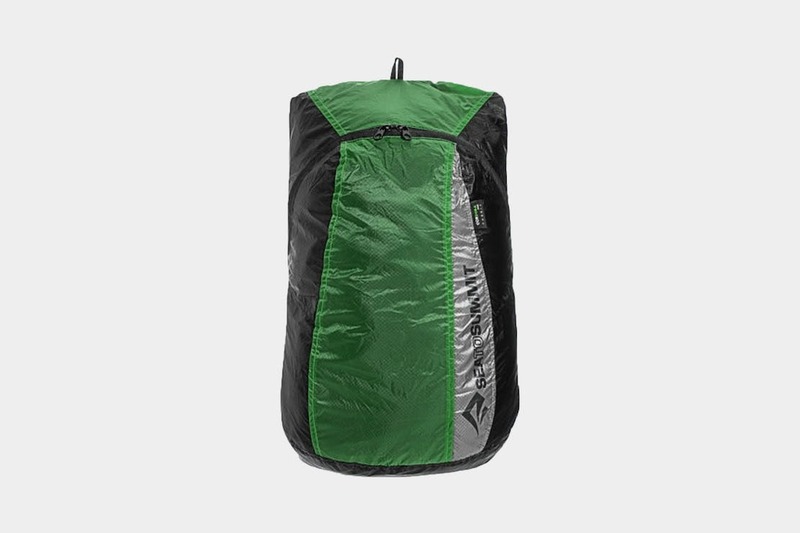 This 20L pack is made of a 30D siliconized Cordura® ripstop nylon (hence the name “Ultra-Sil”). Basically, Sea to Summit takes ultralight water-resistant Cordura, weaves it into a ripstop pattern and coats it in silicon to increase packability. While not totally waterproof, the Cordura in the Ultra-Sil still has a hydrostatic head greater than 2000mm—which is a fancy way of saying it’ll still do a pretty dang good job protecting your things from H20. To be blunt, this bag won’t win you any fashion contests. As with most Sea to Summit products, the “trail-ready” look vibes more with the real jungle than the urban jungle. We chose the green pack which, to our neutral color-palette surprise, turned out to be a little less loud than the bright green color shown online. A vertical gray accent stripe provides a backdrop for the Sea to Summit branding, which is not super discreet—but, again, this bag isn’t made for the Met Gala. There’s also a very small tag advertising the bag’s Cordura material, for when your friends ask you what your pack is made of… (Okay, maybe that’s only a normal question here at Pack Hacker.) The remainder of the pack is black, which is a worthy strategy for hiding dirt or other stains. The rip-stop weave is also pretty visible when viewing the pack up close, which we’re kind of into but some people may not be. 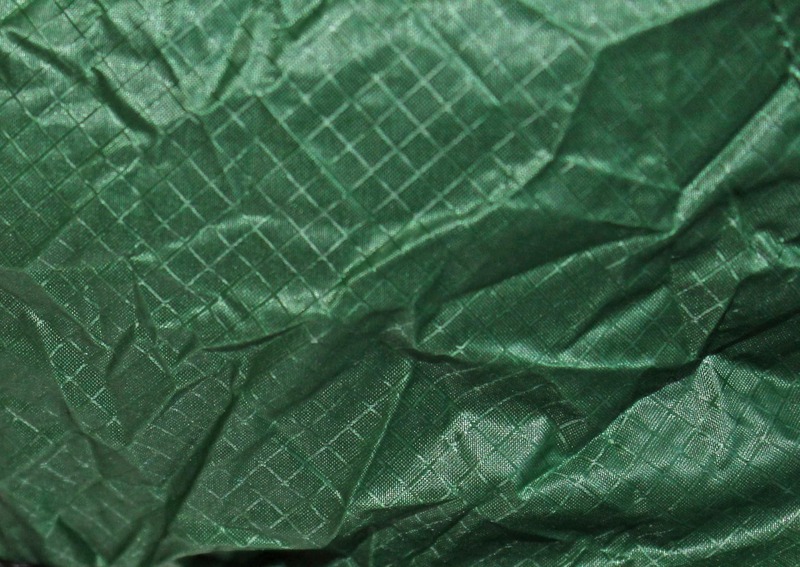 And as with most packable items, you’ll get a pretty solid wrinkle when you first unload the Ultra-Sil. We’ve found it typically irons itself out after a few hours of use. The tiny little compression pouch (fixed to the inside of the clamshell) has the same look as the bag when set free, with some more conspicuous branding on the bottom. We’ll cut to the chase here—there aren’t a whole lot of bells and whistles on this thing. Which isn’t a bad thing! A proper day pack should be simple and carry just enough for a day out on the town. The straps are made of the same material as the rest of the bag, linked up ½ inch adjustable nylon straps. The wider top straps, though not padded, distribute weight decently enough and are super easy to adjust on the go when you want to shift the pack higher or lower on your body. The thin adjusters look pretty flimsy, but they performed incredibly well, even when cranked on with a little extra force or speed. Fair warning: if you’re looking for a quick grab pocket or place to hold your water bottle, you won’t have any luck. Outside of the main clamshell, the only other external feature on this pack is a small nylon loop at the top. We’ve only used this loop a few times to air the pack out after a light rain, and to keep it off of dirty floors. Moving onto the internal components, the main clamshell opens to almost the entire length of the pack and has sturdy two-way YKK zippers, making it easy to access on the go. After unzipping the clamshell, you’ll find a sizable space to hold all of your things and…well…that’s it. There’s no organization to the Ultra-Sil—no mesh pockets or separate compartments—just a big pocket to dump all of your stuff. At peak capacity, the Ultra-Sil securely stowed a full-size DSLR (inside of a soft case), a full 32 ounce water bottle, a small first-aid kit, a days worth of extra clothing, two travel towels and three peanut butter and jelly sandwiches (#hungrytravelerproblems). Though it can hold quite a bit, we should mention there’s absolutely zero padding. You’ll want to recruit some additional insulation (like we did with the DSLR) or be a bit more strategic with your placement of fragile items. You’ll also want to be careful with sharper-cornered items—pack them toward the center to avoid repeated back pokes (unless you’re into that sort of thing). Fixed to the lining of the clamshell is the adorable little compression pouch to stuff your bag into when not in use. Once compressed, its got a handy little cinch strap to keep everything locked in tight. If you’ve thus far been unimpressed with the description of this bag, this is where we hope to change your mind. 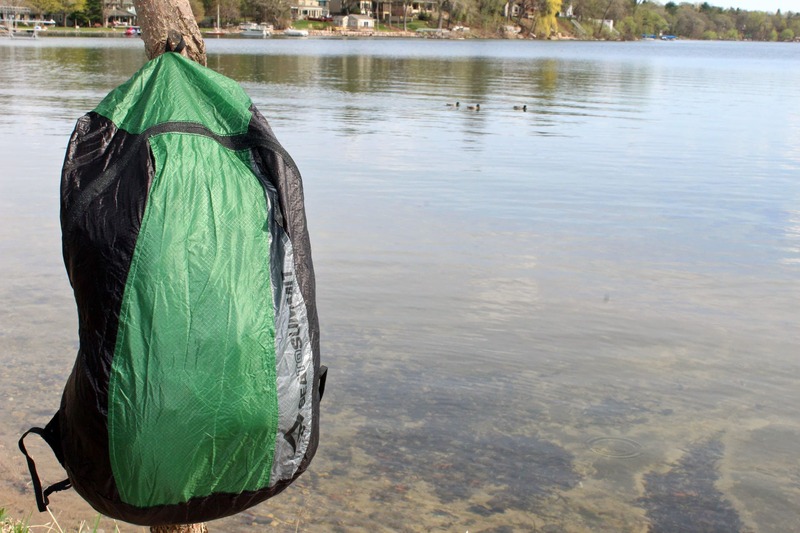 Though simple in design, the shining quality of this pack is its convenience and durability. 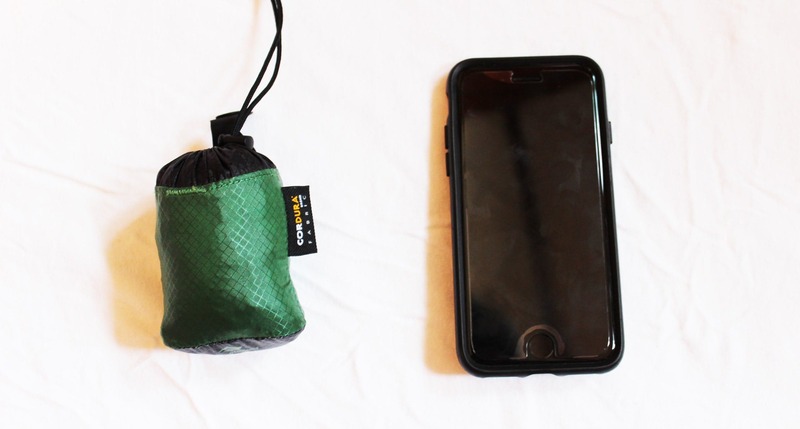 The Ultra-Sil is convenient in that it packs up smaller than your fist and doesn’t take three hours and four people to do it (we’re looking at you, sleeping bags). This thing could not be easier to pack down, clip into your larger pack (or pocket or, yes, even your keychain) and go. But you wouldn’t buy a day pack just because it’s easy to stow, so allow us to geek out about the sheer strength of this bag. We’re not going to lie, our confidence was lacking upon initial inspection of this pack. Cue nightmares about the Ultra-Sil snapping, leaving us utterly embarrassed as fellow travelers witness 50 Shades of Gray tumble to the ground alongside a fingerprint-worn picture of our 2nd grade crush. Thankfully, this wasn’t even close to the case as all of our guilty pleasures remained safely inside. Despite a lack of padding, the Ultra-Sil was surprisingly comfortable for extended periods of time. We did encounter a bit of rain while using the pack—nothing torrential, but the Ultra-Sil managed to keep everything dry while moving from place to place. 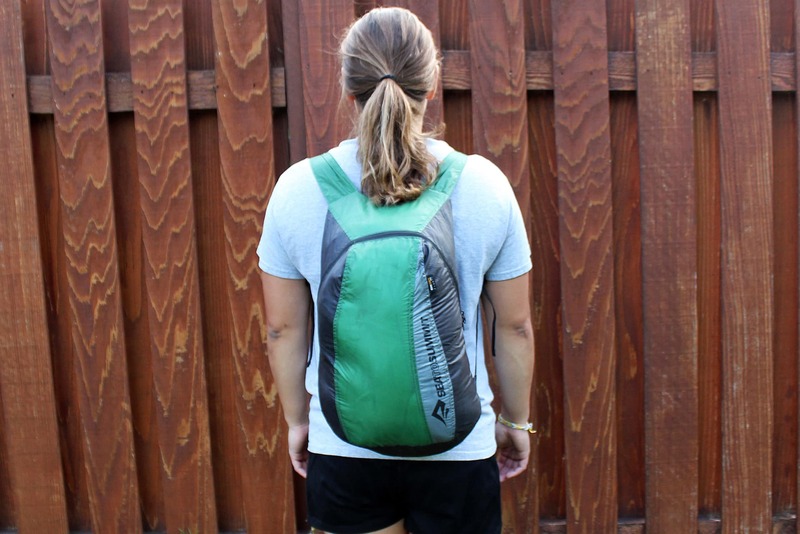 Our only gripe with this bag is the absolute lack of organization, though we recognize that additional pockets would undoubtedly impact its extreme packability. 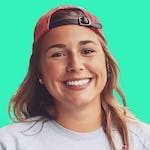 If Sea to Summit could figure it out, we’d love to see the addition of just one quick-grab pocket for when our lips hurt real bad and the ChapStick is buried amidst everything else in our pack. As far as pricing goes, you can get yourself into the Ultra-Sil game at a relatively reasonable cost. It’s neither the least nor most expensive packable day pack you’ll come across, but we think its price is more than on par with the quality of the bag. Sea to Summit also offers a lifetime warranty for any defects that occur when using the product for its intended use. However, we’ve seen mixed reviews online regarding their warranty process, so we won’t hang our hats on it just yet. Wrinkly after taking it out of the compression pack, but it flattened out with time. Surprised at how much the bag holds and how easily it compresses. No issues yet with durability. We ran it through the wash after it stowed some sweaty hiking gear and it came out looking good as new. Continues to hold up well while carrying heavier loads. The Sea to Summit Ultra-Sil is a great choice for those who need an incredibly durable and compressible day pack without all the organizational bells and whistles. With an outdoorsy look and the ability to pack down to smaller than your fist, it’s a reliable solution for more rugged daily adventuring.